Hearing Health Foundation (HHF) is thrilled to release our new Annual Report, a compact account of Fiscal Year 2018 (October 1, 2017 - September 30). The report’s few dozen pages are symbolically bound between striking images of the inner ears of mice — our small, fellow mammals who continue to show new capabilities in hearing restoration, which will one day be possible for people with hearing loss. Inside, you’ll find summaries of the most important discoveries that have emerged from our scientists’ labs — in almost all 50 states (see our map of funded institutions on p. 14)! Updates from the Hearing Restoration Project, Emerging Research Grants, and Ménière's Disease Grants programs kick off on p. 28. This work is only possible because of our generous and committed supporters. A few remarkable donors’ stories are highlighted on pp. 6-9, and the full list of those who gave begins on p. 16. 2018 was HHF’s 60th anniversary year, and in celebration of turning “60 years strong,” the report also catalogues some of the notable accomplishments that materialized because of the ambitious vision of our late founder, Collette Ramsey Baker, beginning on p. 10. “My mother made a promise that, if [her hearing loss surgery] worked, she would do something to support research to find the causes of deafness and develop better treatments,” said Ramsey Baker’s daughter, Collette Wynn. As noted by Board Chair Elizabeth Keithley, Ph.D. in her opening remarks (pp. 4-5), HHF is proud to retain top marks for transparency and use of program funds by all major charity watchdogs. You can review financial information on pp. 38-40 and in our Audited Financials. We extend our gratitude to all who made possible the work enclosed in this report. Should you have questions about the contents, feel free to contact us at development@hhf.org. You can read HHF’s FY18 Annual Report here. To extend our celebration of World Hearing Day (March 3), Hearing Health Foundation (HHF) has partnered with the innovative Class I hearing aid manufacturer Eargo to raise funds for hearing loss research and awareness. Eargo launched the ChEARs to Our Hearing Facebook fundraising campaign Monday, March 4, and the company is generously matching all gifts made up to $1,000. HHF also champions the importance of treating a hearing loss to maintain one’s quality of life, or, as Eargo’s mission statement reads, “hear life to the fullest.” An untreated hearing loss can increase one's risk of experiencing cognitive decline, dementia, falls, social isolation, and depression. Eargo also shares HHF’s motivation to reduce the stigma of hearing loss. “There always has been, and still is, a lot of stigma around hearing aids. As a society, we're focused on looking and feeling young, and using hearing aids are often seen as a sign of submission to old age. Instead of investing in one of their senses, people often deny their hearing loss—by turning the volume up, asking people to repeat themselves, and unfortunately avoiding the situation rather than dealing with it head on,” Eagon says. HHF is deeply grateful to Eargo for their decision to support hearing loss research and awareness. HHF kindly invites our readers to make a contribution to ChEARs to Our Hearing on Facebook. Thank you for your consideration and support of our work! Eargo is a direct-to-consumer health tech company that’s destigmatizing hearing loss through consumer-driven innovation. Eargo devices are available for individuals with mild to moderate hearing loss. The Eargo Max model was recognized as one of TIME’s best inventions of 2018. For more, see eargo.com. Hearing is one of our most precious links to the world around us. But hearing and balance disorders affect more than 50 million Americans who urgently need better treatments and cures. 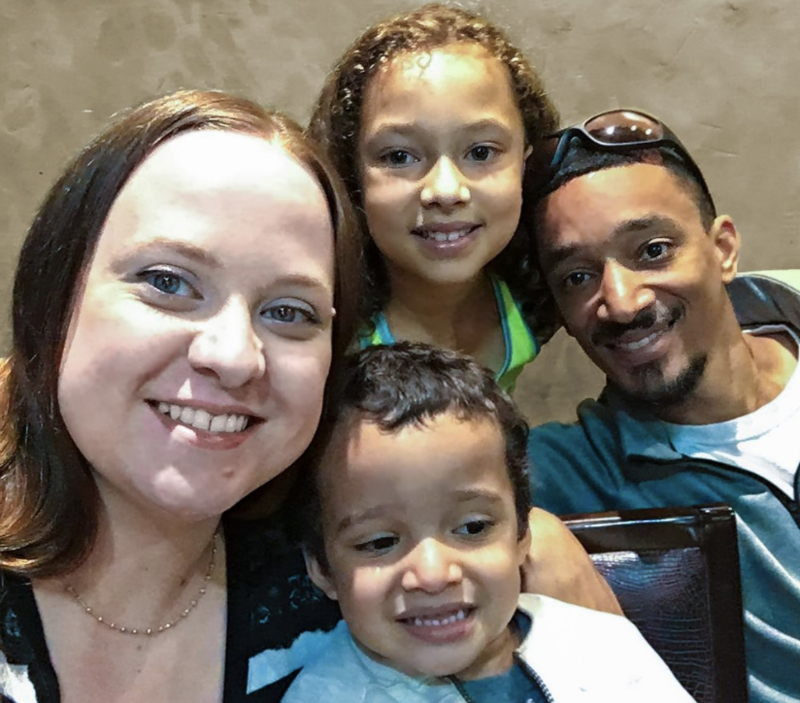 Consider Heather, 32, who has lived with hearing loss, tinnitus, and Ménière's disease for more than a decade. The conditions have threatened her job security, relationships, and mental well-being. Though treatments have made her healthier, she remains worried for her future. Advancements in hearing and balance science funded by Hearing Health Foundation (HHF) will dramatically improve the lives of individuals like Heather. But this can only happen with your help. To make more research possible, HHF invites our committed supporters to participate in Good to Hear, a 24-hour online giving period beginning Sunday, March 3 at 12:00 PM EST, at hhf.org/good-to-hear. Thanks to an anonymous benefactor, all gifts received by Monday, March 4 at 11:59 AM EST will be doubled! Additionally, all credit card processing fees — ordinarily absorbed by HHF — will be waived! Any amount you can give will automatically have twice the influence on hearing loss research and awareness programs. 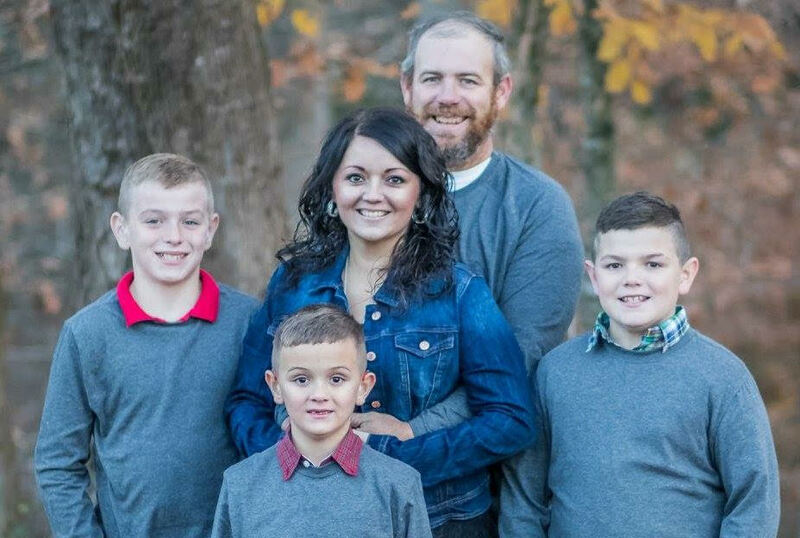 Heather and her family are among the millions of families worldwide affected by hearing loss. Good to Hear aligns with the celebration of World Hearing Day―the World Health Organization (WHO)’s annual March 3 campaign to raise awareness of hearing loss care and prevention. On a day when all eyes will already be on our ears, HHF is determined to engage as many supporters as possible to empower scientific progress. We hope you’ll take advantage of this opportunity to make the greatest possible impact with your donation, and thank you for your consideration. Your support for Hearing Health Foundation (HHF) inspires me. I’m thrilled we are moving toward better treatments and cures for hearing and balance conditions — together. I was diagnosed with a hearing loss at age 4 and with Usher syndrome (combined hearing loss and vision loss with balance difficulties) as an adult. I know what it is like to be frustrated by something that can make us feel powerless. Since joining the Board of HHF and following the research programs — the Hearing Restoration Project (HRP), Emerging Research Grants (ERG) and Ménière's Disease Grants (MDG) — I’ve felt empowered. The HRP has seen the partial regeneration of inner ear hair cells in adult mice and continue their work toward complete regeneration. ERG and MDG scientists have made discoveries advancing knowledge of tinnitus, Ménière's disease, hyperacusis, Usher syndrome, and auditory processing disorders. But more progress is needed. With your generosity, HHF can fund more research to accelerate the breakthroughs that will dramatically improve our lives. Please, if you can, give to our life-changing work. HHF will direct 100% of your gift toward the program you choose. Thank you for your consideration and for being part of our mission. Warm regards and happy holidays! Your partnership with Hearing Health Foundation (HHF) is fundamental to new treatments and cures for hearing and balance conditions. I am so grateful you are part of our mission—which, as a hearing scientist, I have always embraced. Support from you creates new possibilities for people of all ages, including brothers Anthony, Andersen, and Ayden, all born with bilateral hearing loss. The boys wear hearing aids and are happy, social, and active students in a mainstream school. They’re fortunate to have a mother who sacrifices for their hearing health, including five-hour round trip drives to their audiologist. I am pleased to have witnessed so much extraordinary work funded by HHF that will better the lives of so many people just like these boys. And I know someday, hearing restoration— which already exists in birds, fish, and young mice — will be possible for millions of folks who have hearing loss. Progress cannot happen without you. Please, if you are able, give today to bring us closer to realizing that dream. Your generosity is urgently needed to accelerate new treatments and cures. We appreciate your consideration to give to HHF’s life-changing work. We pledge to use your gift wisely. Our responsible and effective donor stewardship practices have been commended by Better Business Bureau Wise Giving Alliance, Consumer Reports, Charity Navigator, CharityWatch, and GuideStar. All donors are recognized and acknowledged in our Annual Report. Consider making a donation through our Facebook page, where your gift will be generously matched through a partnership with PayPal. Many companies offer matching gift benefits to employees, doubling the value of their charitable contributions. Find out if your employer will take your support for HHF twice as far. Unable to make a personal contribution? No problem. Enlist help from your friends, family, neighbors, colleagues, or classmates to give on your behalf through Facebook or Classy. On Amazon, you can make your purchase through AmazonSmile and designate HHF as your charity of choice. If you are shopping on one of many other popular retailers’ sites like CVS, Nike, Etsy, Groupon, Macy’s, or Modell’s, you may allocate a percentage of your purchase to HHF through iGive. Planned giving donors provide essential philanthropic support that enables Hearing Health Foundation (HHF) to remain the country’s largest nonprofit funder of hearing research. The Hearing Health Legacy was established to recognize and thank these extraordinary individuals. Learn more about planned giving options. Let everyone know you supported HHF on #GivingTuesday by sharing this photo on Facebook, Twitter, or Instagram. Our son Jeremy recently turned 29, and on his Facebook page for his birthday he asked friends and family to donate to Hearing Health Foundation (HHF) to help reach his fundraising goal, which he exceeded. Jeremy introduced us to HHF when he discovered its commitment to hair cell regeneration. 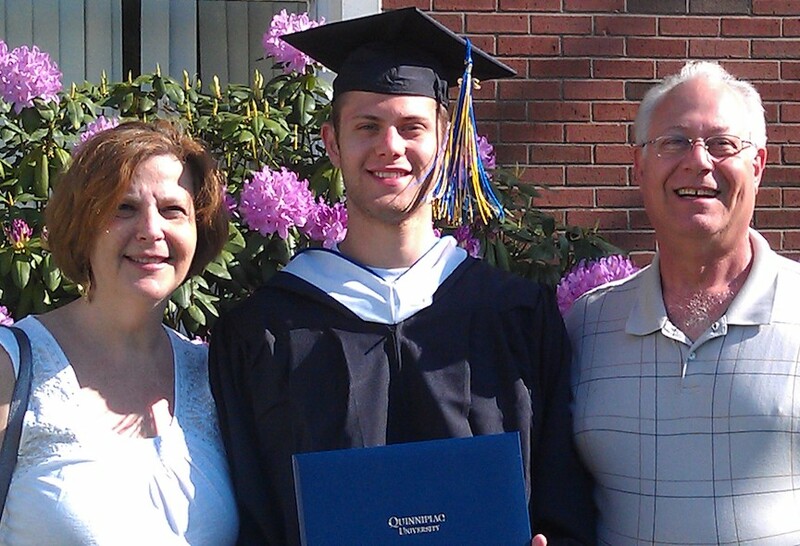 He has a profound hearing loss and has been using hearing aids successfully since childhood. We did not realize there was a problem with Jeremy’s hearing until he was 14 months old, mainly because he had been making sounds like a typical baby. Even as a baby, Jeremy had an infectious belly laugh and was always very attentive to what was going on around him. But when we discussed a potential hearing issue with our pediatrician, he didn’t seem concerned. It was only after we went to see an audiologist that we finally got a diagnosis of profound congenital bilateral sensorineural hearing loss. Throughout Jeremy’s childhood we visited audiologists and doctors regularly. We found an otolaryngologist in New York City who specialized in hearing disabilities, and we kept up with the latest technology in hearing aids to understand options for Jeremy. As he got older, we always encouraged him to ask people to repeat themselves if he couldn’t hear or understand them. Since Jeremy was diagnosed with quite a bit of residual hearing, the audiologist suggested an unconventional means of learning speech, the auditory-verbal approach introduced by Helen Beebe. Children learn to use the hearing they still have by being bombarded with speech consistently. I read books and introduced pictures by sitting next to Jeremy, not facing him, so that he could learn how to repeat words and speech sounds by hearing them rather than watching my face and lip-reading (speech-reading). As a result, Jeremy’s speech developed as a typical hearing child’s would—by listening and repeating. We as his parents knew that developing Jeremy’s hearing to its fullest potential was imperative—the “if you don’t use it, you’ll lose it” theory—and that lip-reading could come later, as a supplement. With his hearing aids Jeremy thrived, learned to play piano at age 7, and was even presented with an award at Carnegie Hall. He excelled at school and showed us that his hearing was not an issue or a factor that would get in the way of his education or competitive spirit. The natural belly laugh he had as an infant translated into a great sense of humor and positive outlook. As a kid Jeremy liked to place one of his hearing aids on his tummy and say, “Mom, I’m so hungry, I can hear my stomach growling!” We’re so proud of him and his studies, the many activities he has thrown himself into, his thriving career, and his own family and baby to come. My advice to anyone with hearing loss (and their loved ones) is to be bold, brave, and up front about your hearing. Accept it and wear it proudly, otherwise others may misinterpret who you really are, or even bully you. Hearing loss isn’t who you are. I also tell those new to hearing loss to never stop using your mind. Your brain is your most powerful tool. I play chess and compete in Brazilian jiu jitsu, plus I love being a software engineer and doing math, exploring art, and enjoying nature. I love to learn. Being fully engaged keeps your brain active and fights off feeling down from hearing challenges. I remember being afraid to ask others to repeat themselves, but as I got older I learned to ask, even if I had to do it more than once. In this way, I show I am involved and can contribute meaningfully to the conversation. I earn respect for that. Your voice and opinions really do matter. What definitely won’t work is to hold back. I consider myself outgoing and social, and sometimes when I ask someone to repeat themselves it can break the flow of the conversation, or cause frustration in a new acquaintance who doesn't understand. But it is infinitely more frustrating if you can’t fully participate. My wife Lauren has typical hearing and sees me as a typical hearing person. But when I am tired and my hearing is down, I have to ask her to repeat herself or let me see her lips. Then when I am less tired and my hearing is better, I get frustrated again if Lauren is still making accommodations for me that I don’t think I need—and that can frustrate her, constantly having to switch! I love my wife for going with the flow and understanding what I need to hear. The company I work at now has wonderful benefits and accommodations for their employees with needs. They hold meetings throughout the year among those who have requested accommodations in order to foster an inclusive environment, and they are proactive about making sure I have everything I need. It’s been very welcoming. When I was in middle school, my parents and I went to a support group, and I met a couple of kids my age who also have a hearing loss. One of them happened to end up working for HHF, Laura Friedman (HHF’s former communications and programs manager). I also followed news on the development of hair cell regeneration in the inner ear. I am encouraged about HHF’s Hearing Restoration Project consortium bringing together multiple labs and scientists. All of this is why I wanted to do my part to raise money for research toward the cure. Beth Hochheiser lives in New Jersey, and Jeremy Hochheiser lives in Pennsylvania. HHF sincerely thanks the Hochheisers and their family and friends for their support. 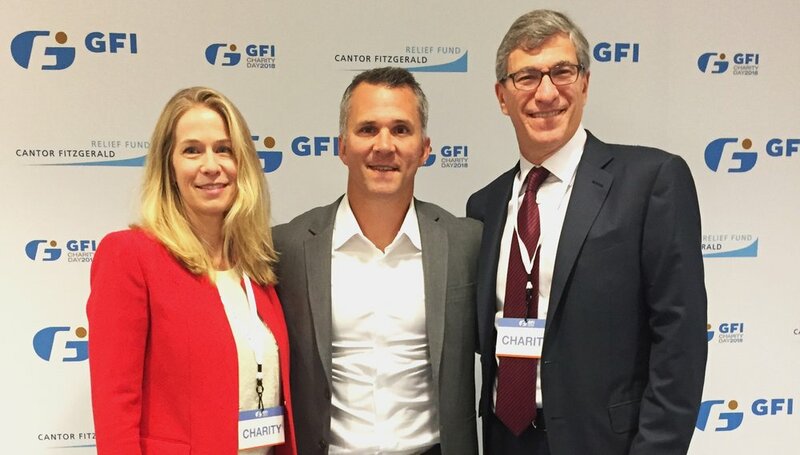 Hearing Health Foundation (HHF) graciously took part in Cantor Fitzgerald’s annual Cantor Charity Day on Tuesday, September 11 in New York City, marking the organization’s sixth year of participation in the high-profile philanthropic event. Represented by celebrity ambassador NHL Hall of Famer Martin “Marty” St. Louis, HHF will receive a share of the funds raised to support hearing and balance research by way of the Cantor Fitzgerald Relief Fund. The Relief Fund was originally established to aid the families of the Cantor Fitzgerald’s 658 employees who perished in the World Trade Center attacks. The Fund has since expanded to support victims of terrorism, natural disasters, and emergencies, wounded military personnel, and other charitable causes, including HHF. Since its 2001 formation, Charity Day has raised $147 million for worthy causes. 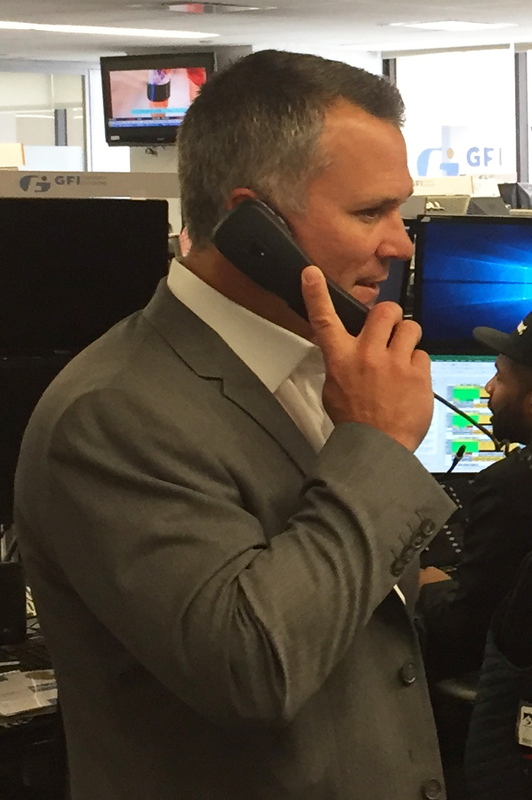 Accompanied by HHF CEO Nadine Dehgan and Board Member Paul Orlin, Marty enthusiastically helped brokers on the trading floors close deals on the phone—all for charity—at both the BGC Partners and GFI Securities offices in Manhattan. Other celebrity ambassadors included Alec Baldwin, LaChanze, Tony Danza, Gayle King, Lucy Hale, Bill Clinton, and Saquon Barkley. Hearing Health Foundation (HHF) exists to better the lives of individuals with hearing and balance conditions through groundbreaking research. Reliable research outcomes require time and stability. “Research is not effective when it happens in fits and starts. Consistency is necessary to find safe and effective ways to promote lasting advancements for hearing in humans,” explains HRP scientist Jennifer S. Stone, Ph.D.
Making a monthly contribution is a powerful way to ensure that research in the program of your choice—Hearing Restoration Project (HRP), Emerging Research Grants (ERG) or Ménière's Disease Grants (MDG)—can thrive. You can also designate your gift to the area of greatest need to help us reach our program goals. When you start your monthly commitment to HHF, you will automatically become a member of our Inner Ear Circle, helping to ensure our researchers have the resources needed to sustain their work without interruption. To make your first gift as a member of the Inner Ear Circle, please visit www.hhf.org/monthly. Please, if you are able, begin a monthly contribution to HHF’s life-changing research and awareness today. 100% of your donation will sustain critical programming. HHF has earned top ratings with all charity watchdogs, and made the Consumer Reports list of Top Five Charities for Your Donation, providing assurance your contribution will be well-invested.